An inmate who was mistakenly released from a San Francisco county jail turned himself into the city's Hall of Justice Saturday morning, law enforcement officials said. 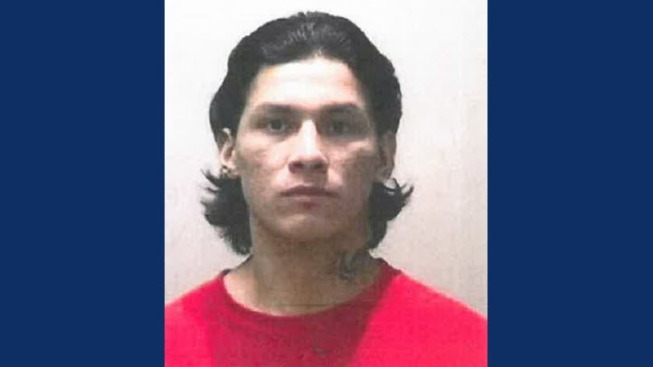 Victor Rodriguez, 20, was mistakenly set free from jail Wednesday night due to a clerical error, San Francisco Sheriff Eileen Hirst said. Rodriguez was booked behind bars on Nov. 7, 2015, for convicted robbery, battery, and resisting arrest and was scheduled to be released on July 6 of this year, but he threatened to shoot officers less than a week before his scheduled jail departure, Hirst said. A motion was put in the works to revoke Rodriguez's probation, which would extend his sentence by three months, but a court clerk mistakenly filed paperwork stating that the charge for threatening officers had been dropped, allowing Rodriguez to leave custody at 10 p.m. Wednesday night, Hirst said. Rodriguez will not be charged for escape because of the clerical mishap, Hirst said.